Determine if the parts will assemble 100% of the time, or will assemble 99.73% (± 3 sigma) of the time statistically. Done to determine if the parts will function properly at worst condition. 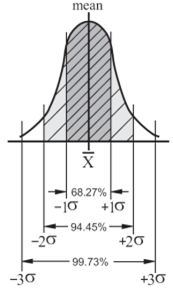 Determine if the drawing tolerance can be larger. Determine if statistical tolerancing will give a lower cost product. A fully documented tolerance analysis provides a record of the design dimensional requirements that can be reviewed at a later date in case of a product failure. These Calculators requires a Premium Membership to access. 100% Interchangabilty and ± 3σ tolerances using bilateral uneven tolerances. 100% Interchangabilty and ± 3σ tolerances using bilateral tolerances.